Why are so many single women in Odessa? Very often foreign men during their visit of Odessa wonder why such beautiful, intelligent and kind girls do not have a steady relationship and a strong family in their home country and why do they choose to marry abroad? 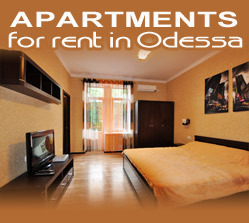 Odessa has long been famous for the beautiful ladies who always made a great impression on the foreign men who were not spoiled by the appeal of their compatriots. That’s why South Palmyra has dozens of marriage and dating agencies, which help to connect the loving hearts and find worthy men to the girls from Odessa, and for foreigners - thrifty and beautiful wives. Why the brides from Odessa prefer to marry foreign men? Yes, indeed, most educated, erudite, beautiful, cute and attractive ladies from Odessa feel unhappy because having all these advantages are absolutely lonely. What such a beautiful and smart lady needs to feel happy? Why does not she have a happy life? 1. There is no secret that statistically there are fewer women in Ukraine than men and not everyone can have a second half. Over the past decades there was a ration between men (46%) and women (54%). So the problem that caused the loneliness of the girls from Odessa is a demographic situation in the country. Tatyana: I hope to find my man here Alya:I am kind girl and have warm heart. 2. Each girl has her own criteria for the selection of a man and it is quite natural (!). And if the candidate does not correspond to the girl’s ideas, then, of course, she will not be interested in him. She is not going to consider fools, alcoholics, parasites, and other marginal people as potential boyfriends. A decent lady does not have lots of choices of worthy men. And with the demographic situation, which is described above, a happy marriage with a man from Odessa is actually slight real. 3. We have already discussed the attractiveness of Odessa’s brides. Paradoxically, this beauty is another reason for their loneliness. Often men are simply afraid of beautiful and successful women. They are unconsciously afraid of failure. These men think if a woman is successful - she has a lot of admirers so they do not want even to try and just pass by. 4. A single mom with a child. This is a very big problem for many Ukrainian men. As a rule, many men do not want to raise someone else's child and take any responsibility. That’s why such a woman is alone or being disappointed in men does not want to have any serious relationship.